IBM Lotus Notes, as you may know, is an e-mail client that incorporates numerous options, from calendaring, contact management, and instant messaging to access to blogs, forums, file sharing, video conferencing and more. If you are using Lotus Notes, you certainly know it is very convenient and reliable. But it is always a good idea to make backup copies of data you have. For this, you can save Lotus emails as TXT. TXT as you know is a universal text format that contains unformatted text. It is recognized by any text editing or word processing program and can also be processed by most other software programs. 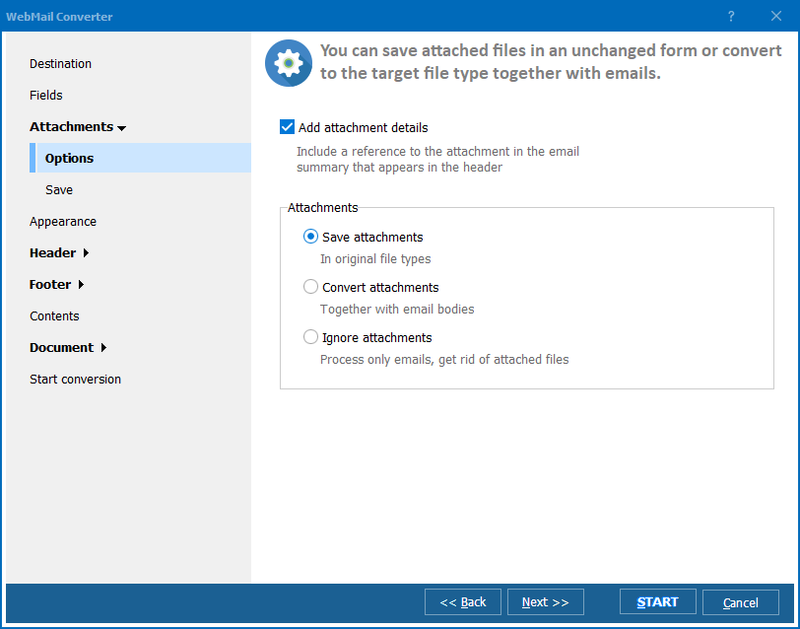 Of course, you can copy and paste all the emails you have, but the best way to convert Lotus emails to TXT is to use a specialized Lotus email converter. 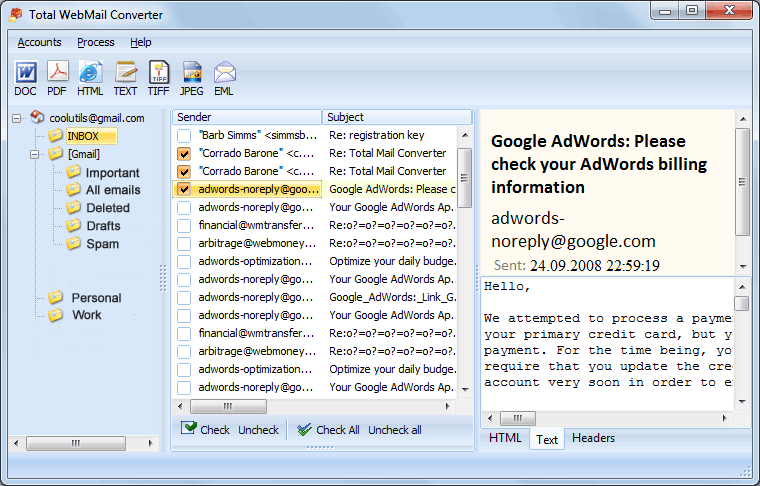 We recommend you try Total Webmail Converter, a program developed by CoolUtils. The whole process of Lotus-TXT conversion can be split into 2 parts. Part I: First, you have to download and install the converter. For this, please, download the trial version of Total Webmail Converter for free or buy lifetime license for just $49.90. 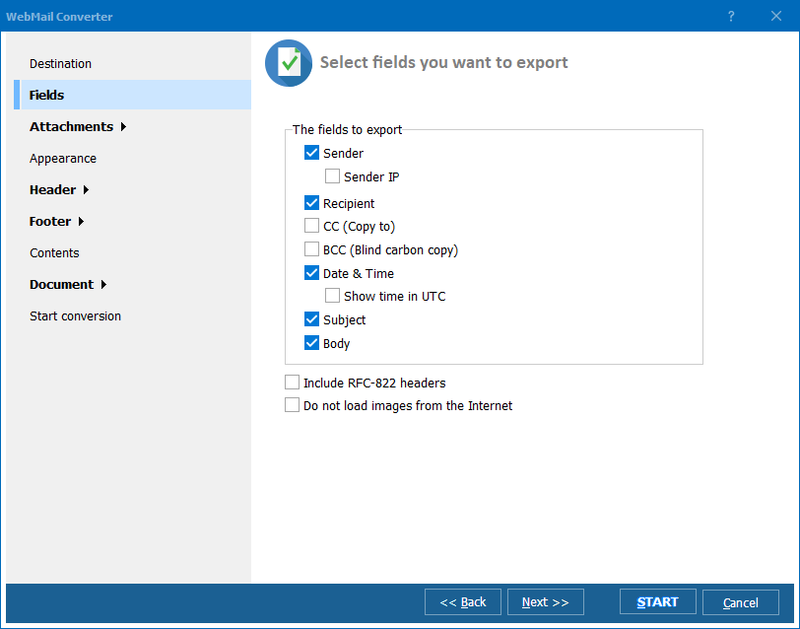 Install the TotalWebMailConverter.exe file and open the converter. This process needs to be completed only once. Part II: Second, select all the emails you want to convert. Total Webmail Converter automatically integrates with your Lotus Notes and creates a list of emails you have. Then set TXT as target format and click "Start!" to begin conversion. This process needs to be completed every time you want to convert Lotus emails to TXT. 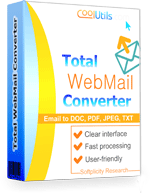 Download Total Webmail Converter now!